For those of you with a Garmin Edge 1000, Garmin released the firmware update 4.1 earlier in the week. It’s a highly anticipated update, that’s had the Strava circle’s on the edge of their seat, its now available for download. The main feature of the update is of course the addition of Strava Live Segments which allows the user to download 100 different segments to their device then get real time segment countdowns and timings during a ride. The latest firmware update also includes a number of bug updates. Added support for Strava Live Segments. 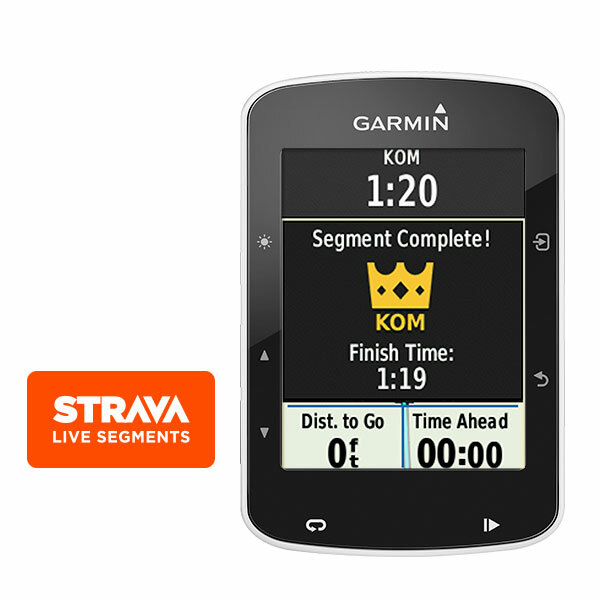 To start the Strava Live Segments experience, go to connect.garmin.com and link your Garmin Connect account with your Strava premium account through the segments widget, then sync with your Edge 1000 through WiFi, Garmin Connect Mobile, or Garmin Express. Increased the amount of segments that can be stored from 50 to 100. Fixed Edge Remote connection issues. Fixed an issue with route replacement. Fixed missed calls not displaying the phone number when connected to an Android phone. Improved Bluetooth file download notifications. Fixed Distance Ahead/Behind data field when riding a segment with the Virtual Partner training page disabled. Fixed Course Point Distance data field. Fixed Pedal Smoothness and Torque Effectiveness ride summary fields with left-side-only power meters. Disconnect and reconnect your Garmin Connect and Strava accounts. Best to disconnect through Garmin Connect, and reconnect through Strava. Go to Garmin Connect’s Segments Widget. You should see a list of your favourited Strava Segment. Don’t have any segments? Double check you actual have favourite segments on Strava. Click ‘Send to Device’, I found the only way to get the Segments onto the device initially was through a USB Sync cable and Garmin Express. I took it out for a spin this morning to have a play. My usual group ride of about 50km in Singapore. Unfortunately I didn’t break any PRs or KOMs, so the feedback was limited to ‘your time’ and ‘your best’. It wasn’t as pretty as the screens on the Edge 520 either. Left me hoping that Garmin or Strava would update that in time. No doubt as the first device updated with LIVE Segments this will be a ‘work in progress’. So I’m expecting several firmware updates in the coming months. This is a killer feature for Garmin, it brings together two of the most important pieces of software in a cyclists life, Garmin Connect and Strava. Let’s face it, Garmin’s segment’s functions never took off, leaving it fairly useless. I can only hope that in the months to come Garmin and Strava will look to also include Live Courses, and my dream feature would be ‘where are my mates riding NOW live’.